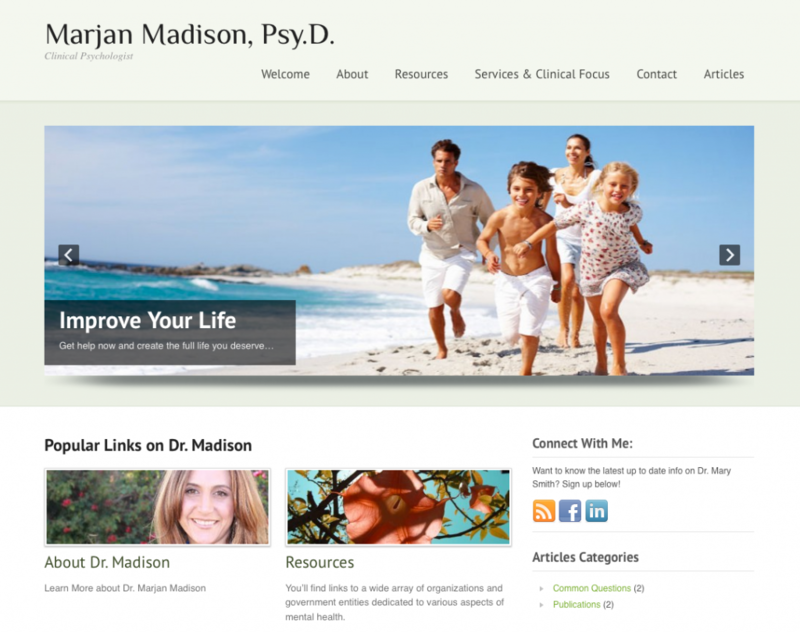 Does your Therapist Website need a new design and better functionality? Articles Does your Therapist Website need a new design and better functionality? Weston Graphics internet specializes in industry specific websites and we are happy to launch our program for the medical profession, specifically Therapists, Psychologists, and Marriage and Family Counselors. WGI fills the need of the Therapist looking for a very tasteful site, professionally designed to include all the necessities. Many Therapists and other service business owner we work with start with a “Do It Yourself” (DIY) site from their accounting software provider or internet hosting provider. The pricing is great, however, the design all to often lacks a professional look, flexibility, and functionality. Your image is what you sell, why tarnish it with a entry level DIY website. Your website is often your only sales tool that a potential patient/client sees. Assure your patients that you are the best in your field, entice them with a clean and powerful marketing tool. 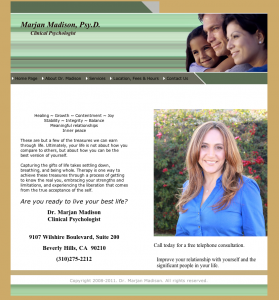 Dr. Madison used an online domain registration company to build a nice website for her practice. In her quest to improve her site, she researched online developers that specialize in Therapist websites, however, she found that these were a bit limited in the design and look and feel. The functionality was limited as well. With this information we suggested a very clean website with a nice image slider. We also suggested creating a section on the home page with featured items to highlight important areas of her site. We assisted Dr. Madison in picking out wonderful photography for her site from our royalty free images. Within 48 hours she was live with her new site. In need of a new fresh look? Let Weston Graphics Internet help you with your new Therapy Website. It is easy to get started, even easier on the budget!